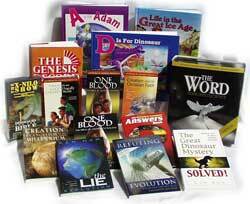 Publishers of creationist literature include ministries and publishing companies that produce creation-based materials. Some produce exclusively creation-based material, whereas others publish a wide variety. There are companies that not only print books on creation, but also scientific journals, documentaries, magazines, radio broadcasts etc. Many religions publish creation based materials including Jewish, Muslim, and Christian publishing companies, the vast majority of these companies are christian. Master Books is a division of New Leaf Publishing that publishes "Creation-Based materials defending the Bible from the very first verse" based out of Green Forest, Arkansas. Master Books is the world's leader in publishing books pertaining to creation, creation based materials is all that they publish. Master Books publishes books for academical purposes as well as children books. Master Books was first formed by the founder of the Institute for Creation Research, Henry Morris in 1975. Master Books then became a division of the New Leaf Publishing in 1996. Creation Book Publishers is the publishing house of Creation Ministries International. CMI is one of the world's leading Young-Earth creationist organisations, with offices in Australia, New Zealand, Canada, South Africa, the United States, the United Kingdom, and Singapore. Each of the seven branch ministries has its own governing board. In addition, CMI Worldwide is a federating body to which each of the national bodies is a party. CMI is an overtly Christian ministry that concentrates on encouraging and equipping the Church. They publish books, videos, and the popular magazine Creation and the technical Journal of Creation (formerly TJ) through Creation Book Publishers. Regnery Publishing is a publisher for conservative books founded in 1947 located in Washington D.C. Regnery is very active in the modern conservative movement in the United States. The publisher mainly focuses on political books, however they also publish a wide variety of books pertaining to a multitude of different subjects. Regnery published a very well known creation-based book written by Dr. Jonathan Wells titled Icons of Evolution: Science or Myth? New Wine Press is one of the largest publishers in the United Kingdom. New wine Ministries publishes a wide variety of books including After the Flood: The early post-flood history of Europe traced back to Noah by Bill Cooper. This book talks about how European accounts of dragons could be accounts of dinosaurs and the genealogical traces of European heritage to back to Noah. Baker Books is a branch of the Baker Publishing Group located in Grand Rapids, Michigan. Baker Books publishes Christian books that are "relevant, intelligent, and engaging".Baker Books publishes a wide variety of books including a prominent creation book titled Bones of Contention: A Creationist Assessment of Human Fossils by Marvin Lubenow. This book gives the most extensive looks at what evolutionist call pre human fossils and gives an in depth and scrutinizing look at them. Earth Science Associates is a group that geologically proves a young earth from the evolutionary train of thought that states that the earth was created over millions of years. Through the use of polonium micro-spheres found in granite they prove that the earth could not possibly have been formed millions of years ago. The Earth Science Associates have published a book written by Robert V. Gentry titled Creation's Tiny Mystery about polonium micro-spheres. The group has also put their research in two videos titled Fingerprints of Creation and The Young Age of the Earth. The Creation Research Society is a non-profit organization consisting of a collection of creation scientist based out of Michigan. The Creation Research Society was founded by ten creation scientist in 1963 that had come across similar difficulty of having their works from a creation stand point published in scientific journals because of their beliefs. The first issue of the society's journal, the Creation Research Society Quarterly, was published in 1964 and is now a well respected creation science journal. The Creation Research Society put out a not so technical, bimonthly publication titled Creation Matters in 1996. The purpose of the society is to provide an alternate viewpoint concerning the origin of life from evolution. ↑ Creation Book Publishers Creation Ministries International, Accessed August 6, 2014. This page was last modified on 6 August 2014, at 11:23.